As many of you know, Helen Vahdhati has wisely decided to focus on her health for the present time. Jim Adams, aka Newepicauthor, the creator of A Unique Title For Me has kindly volunteered to host SONG-LYRIC-SUNDAY for Helen, while she takes a break. Jim is a great lover of music and regularly writes about music, so he is going to be a brilliant host. Well, the first song that popped into my head was that one from Mary Poppins to be honest. But I have heard so much about Mary Poppins this past month, I was worried it might be a bit too much for you all to have such a well known song. So I have chosen something completely different. 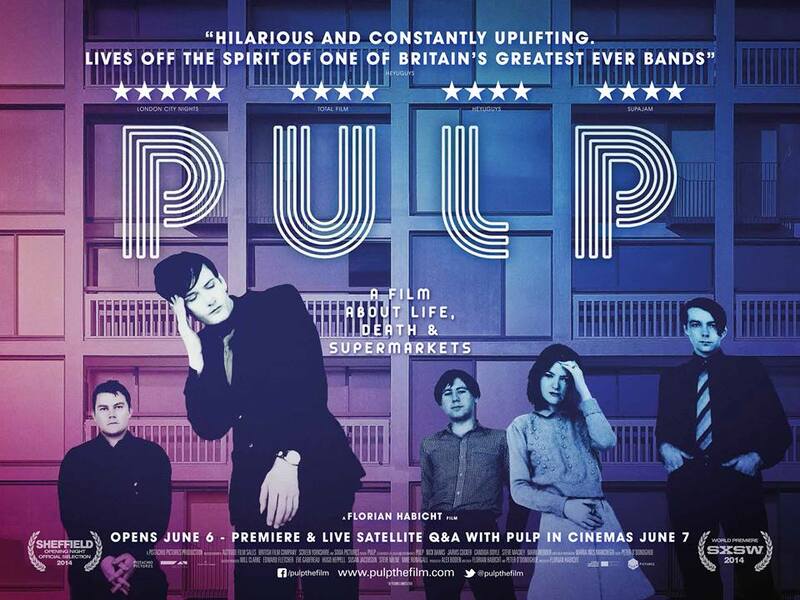 Most people my age who grew up in Britain will remember the band Pulp. After Oasis and Blur, they were one of the biggest bands of the Britpop era. They won a lot of recognition for phenomenal lyrics and sounds. Unless you were there, its almost too hard to explain their popularity! Now…I am yet to tell the story on my blog, although I may get round to it one day, but I was actually involved in a TV show and raved on and on about Jarvis Cocker in front of a live audience some years ago. I was working for a record company at the time and something happened at a certain awards show – we will not mention it right now. However, that eventl led to my television debut. She holds her head in her hands in shame! “I want to live like common people. Liked that song! It reminded me of a Frank Turner rumble! Haha! You are so right – Frank Turner-esque it is indeed! It is a nice song. I never heard it before and I found it interesting. I like the story that it tells. They were story tellers indeed! And of course they sang about subjects their audience completely related to. They captured the pulse in most towns up and down the country and put a rock/disco/synth twist on it. They were incredibly popular here, but I do not know how far their audience extended overseas in all honesty. I’m not familiar with this one. But I am dying to know ‘the rest of the story’ about your tv debut. That sounds quite interesting! I will have to write about it. I look back in horror because I can’t believe how impassioned I was. It was all to do with that incident at the Brit Awards involving Jarvis Cocker from Pulp invading the stage when another extremely famous artist was on the stage. I mean looking back I know he should not have done it, but at the time, blinded by my allegiance to Britpop bands, I ended up on TV defending the pride of Sheffield. Moment of crazy for me! Great song from a new band for me. Cool video also! This used to be the music I loved as a teenager. I like multi-genre now. But it’s interesting for me to look back and remember the music that had a big effect on my personality back then. That sounds like a fun future post for you! Great song, loved the beat and the lyrics – thanks for sharing! It was one of those events that I look back on and wonder what on earth was I thinking. But I think a safe amount of time has passed for me to be brave enough to confess all! Oh the regrets of youth! Isn’t it funny how the lyrics from the songs you listened to as a teenager remain so clear in your memory! That’s a new one for me, too, but the song and video are really cute! I like it! I think a lot of the Britpop bands were only big in Britain…but here they were huge. This was one of their big hits. New-to-me but it’s a fun song! I will have to work on a post now that I have mentioned it.